In moving, everyone knows that its is not just you or your family that needs to transfer to a new location. You also need to transfer all your things as well, unless you are going to have a fresh start and you will leave everything behind and start anew. If you’re planning to move and plans to move everything with you then you will have to hire a Sydney Furniture Removalist to assist you with your move especially in furniture removals. Hiring a Sydney furniture removalist is the answer to all your moving problems. Packing and traveling with all your belongings to your new home or office is very stressful and can cause terrible headache. Instead of focusing on your work or your family, you are faced with more problems and can be very unhealthy. To avoid this type of stress, it would be best to entrust on a moving company and let them do the things that need to be done. 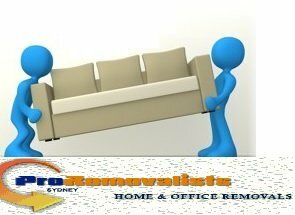 Looking for Sydney furniture removalist ? Finding the best Sydney furniture removalist can be quite tricky if you do not know what you are looking for. Different moving companies offer different services and packages that range in prices. As for Pro Removalists, they offer complete quality removal services for cheap and affordable prices which makes them a well known and leading removal company in Sydney; we’re named pro for a reason. With the help of Pro Removalists, everything from packing, moving, unpacking and even cleaning is done efficiently which makes the whole removal smooth and stress free. Having been exposed to the moving industry for over 20 years makes them more experienced than most removal companies in Sydney. With the help of the experts who knows what should be done in moving, you could get to enjoy your new home or office in no time. After all, we are after proving our clients with comfort and satisfaction. Once you have decided on moving, it would be the best time to start planning. Planning can be very difficult if done on a late time which is why you would want to be ready as early as possible. There are many things that have to be done before you move to your new home or office and is a big hassle if done only on a short span of time. Make sure that once you’ve decided to move, you start on fixing everything from packing your belongings to fixing the papers of the house or office you are leaving behind. It is also important to notify your subscriptions about your new address prior to the day of moving and also make sure to contact the utility companies about unsubscribing from their services. Keep all of your important things in one place and make sure that you won’t leave anything of value behind. Pro Removalists is a that is capable of moving you and your home or office quick and safe. They can remove the stress in moving and keep you calm and relaxed all throughout.